Just in case you guys couldn't tell I was joking. It's really not. Reading some of the reactions of fellow writer types online, I kept on seeing the "dark and gritty" description being used again and again to describe this trailer. I respectfully say "y'all be trippin'." I think MAN OF STEEL looks interesting. This looks to be a more refined approach the more thoughtful type of Superman we got in SUPERMAN RETURNS. And I'll be honest, I've never been a big fan of the Superman character in most media, so I'm always open to a new direction or interpretation for the character. Check out this gorgeous trailer courtesy of the Warner Bros YouTube page below. You could say that the visuals are the highlight of the movie, but I'd be more inclined to say that I enjoy the hints to the larger story at hand. It seems like it will have a lot of the contemplative aspects of Superman's place in a modern world along with some flying robot machines and falling buildings. Plus, the beginning of the trailer reminds of the cinematography of THE TREE OF LIFE. To say that this might be a departure for director Zack Snyder is an understatement. Unfortunately, as is per Snyder's track record, the biggest issue might be the story. I'm not sure exactly if this will match the movie, but it seems that a lot of time spent before Clark becomes Superman will be him deciding whether he would actually do the world any good or not. I immediately thought of the special issue Superman: Peace on Earth, where Superman is forced to deal with issues like poverty and hunger and the sad truth that he can't truly save the world like that. I'm remaining optimistic that this movie will be able to tell an interesting story and give us some great action. 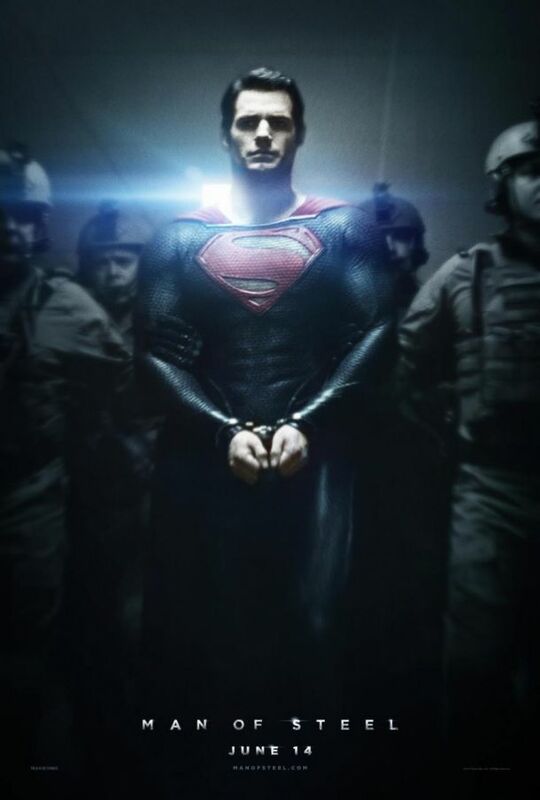 MAN OF STEEL comes out June 14th, 203. It is directed by Zack Snyder. It stars Henry Cavill, Amy Adams, Kevin Costner, Russell Crowe, Diane Lane, and Michael Shannon.